This morning, the Irish Times served up information about the productivity of the Irish workforce. 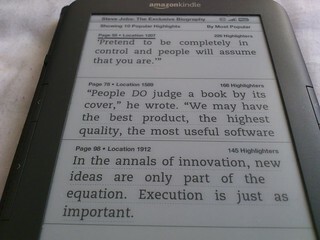 I highlighted some of the content on my Kindle and shared it directly with Twitter. The article reported "Two economies" in Ireland with Goodbody economist Dermot O'Leary saying the figures tell a tale of two economies in Ireland, "hyper-productive foreign multinationals, while the indigenous sectors have lagged significantly behind". I've seen first hand how Ireland's FDI workforce is very productive when compared to the indigenous sector. On the technical side, I can easily copy and archive entire articles that appear on my Kindle, then paste them into an Android app on my Note 9 as discussion items in creative media courses I teach. No laptop or desktop is required. I use a USB cable from the Kindle to the Note 9 and a Bluetooth keyboard from Brydge to make quick work of the copy and paste steps.